Sudipto, himself, is of East Bengal origin. Like the two youngsters in the novel, his uncle, then 14, and father, only seven, made a daring escape, at the insistence of their mother, and made their way to Kolkata. Not surprisingly, Khubha, the mother, is the most powerful character in the novel. A widow, she is strong, as well as practical. Khubha has an affair with her brother-in-law. “She is not a goddess, nor is she a vamp,” says Sudipto. “She is just a normal human being who succumbed to her desires.” And even as riots raged in East Bengal, and Hindus are being killed by Muslims, Khubha falls in love with a Muslim man. 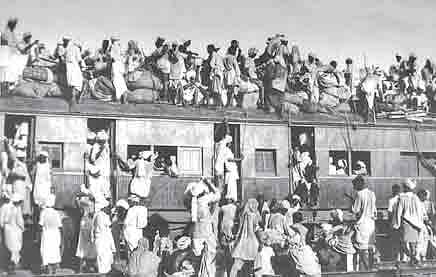 But The Ekkos Clan is not only about the 1947 Partition. The scene moves to present-day Stanford, in the USA, and to a place called Arkaim in Russia. It is a novel steeped in intellectual subjects: so there is linguistic paleontology, astrology, archaeology, music, maths, ancient history…the list goes on. And yet, all these subjects are dealt with, in an easy and simple style, so that the reader is never put off. And all these topics are pursued to understand the meaning of the stories that Khubha told her children when they were growing up. But Sudipto had a stroke of luck when the Delhi-based Niyogi Books accepted his manuscript. And ever since the book was published in July, it has now reached No 19 in the literature and fiction best-seller list on Flipkart.